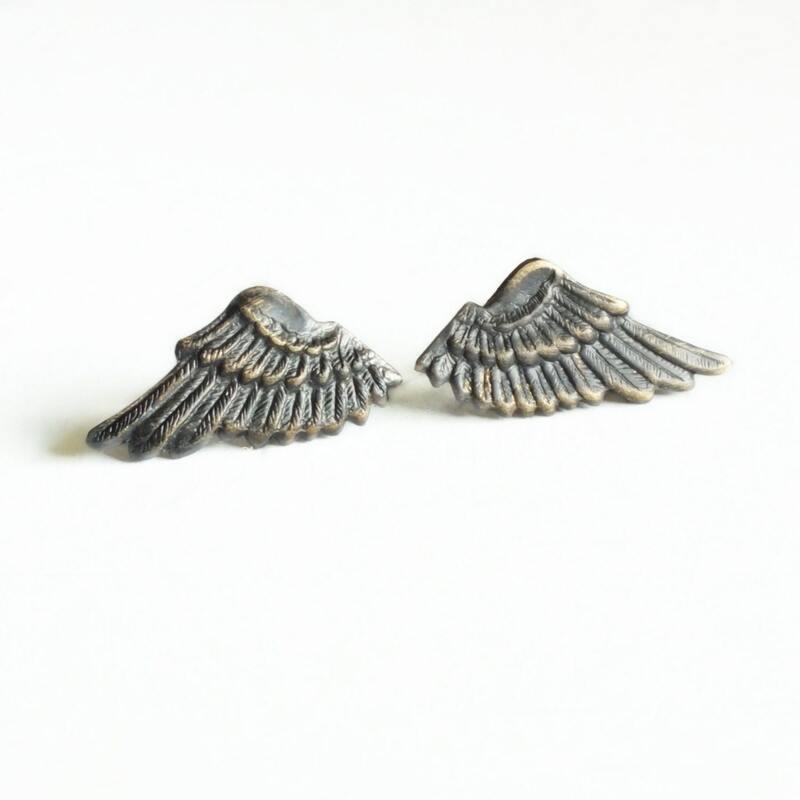 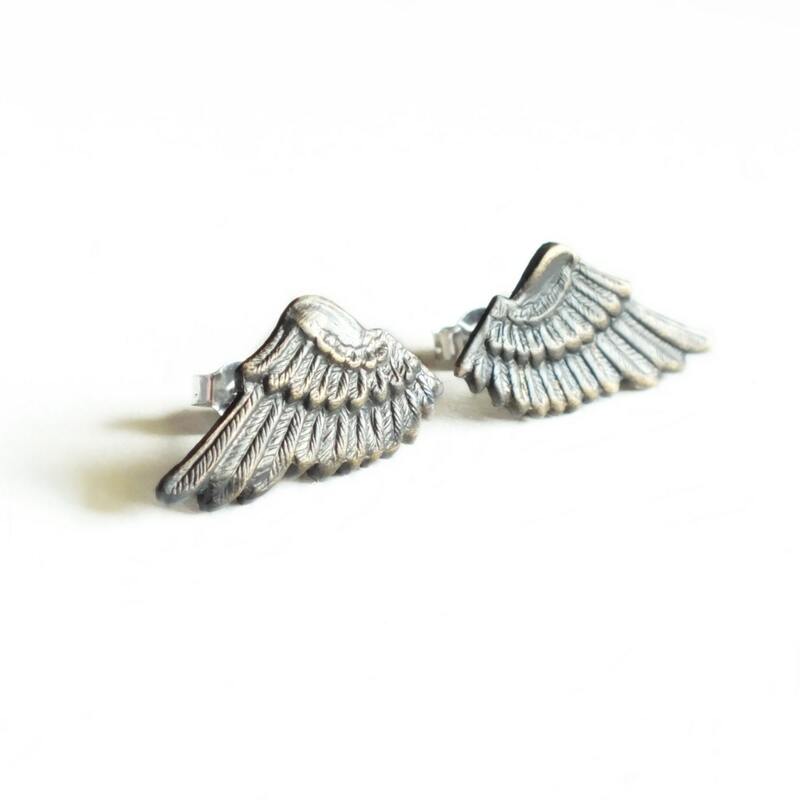 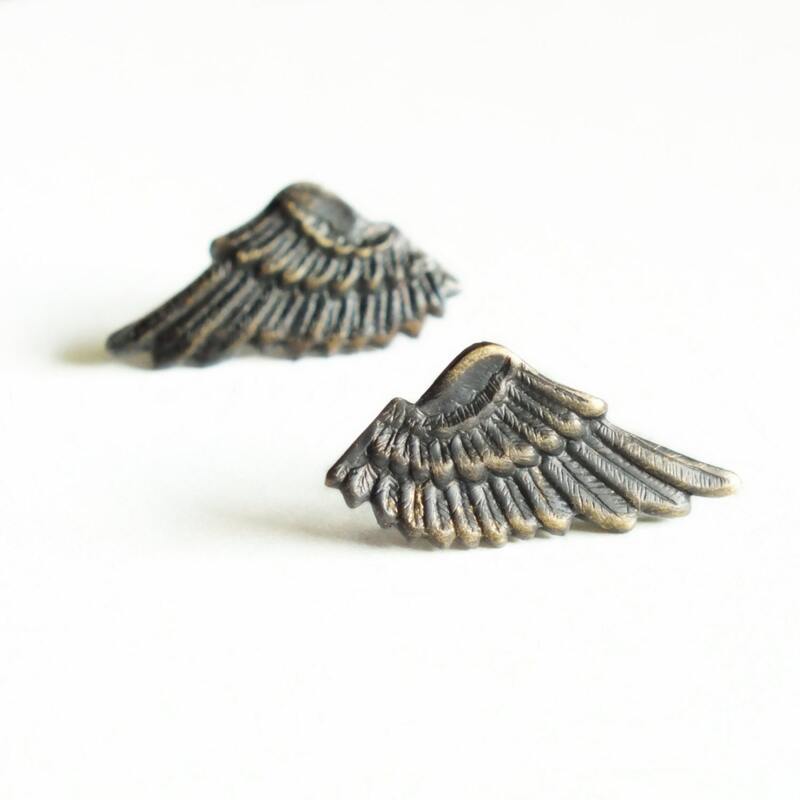 Small handmade black wing studs with antiqued brass wing post earrings. 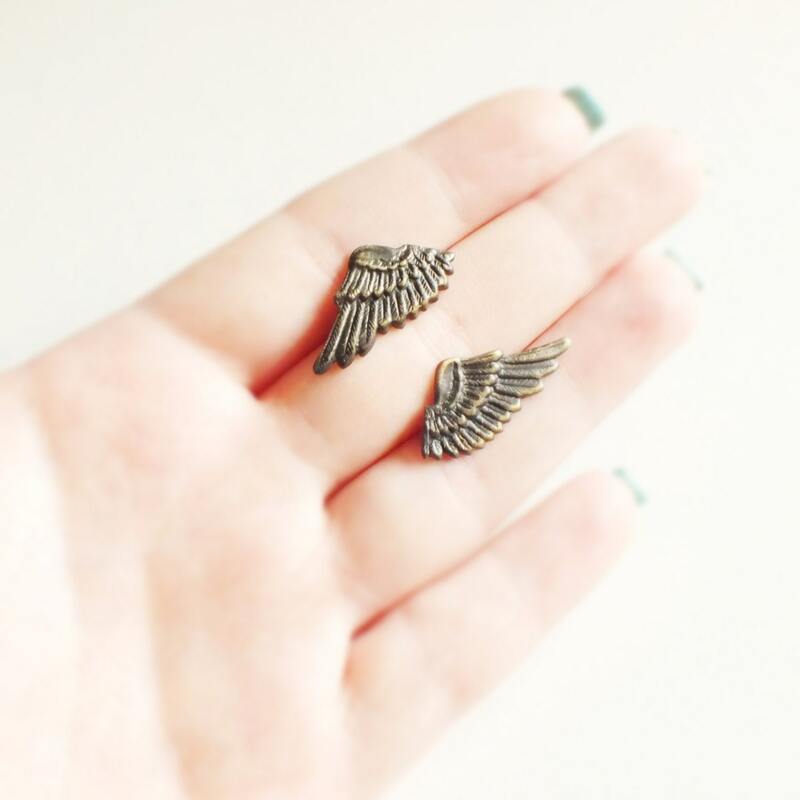 Wings are 1 inch - 2.5 cm across. 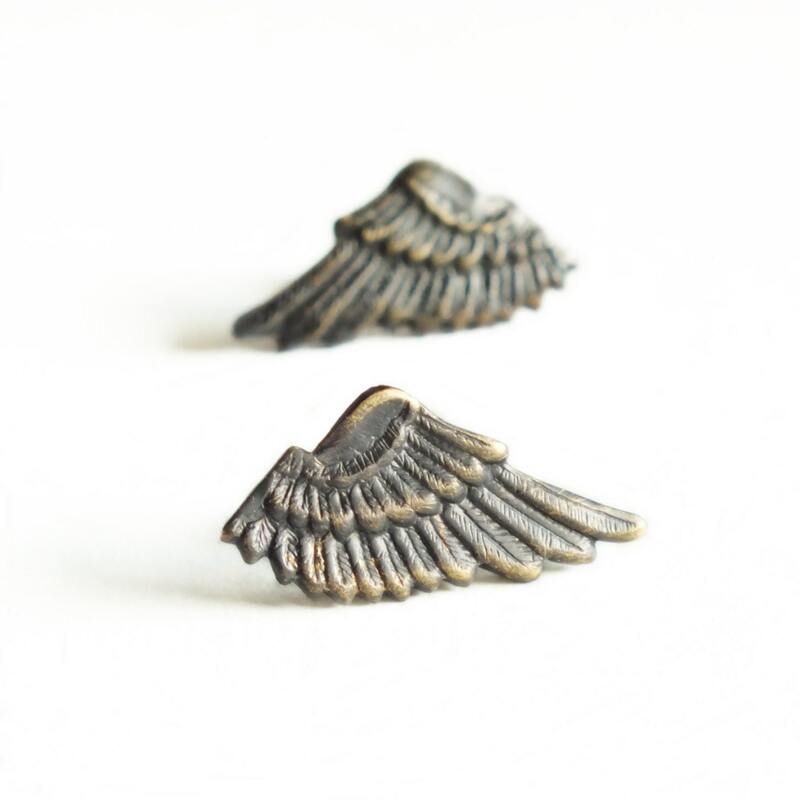 Black post earrings made with beautifully detailed small brass wings I antiqued to a smoky matte black patina secured to hypoallergenic posts.